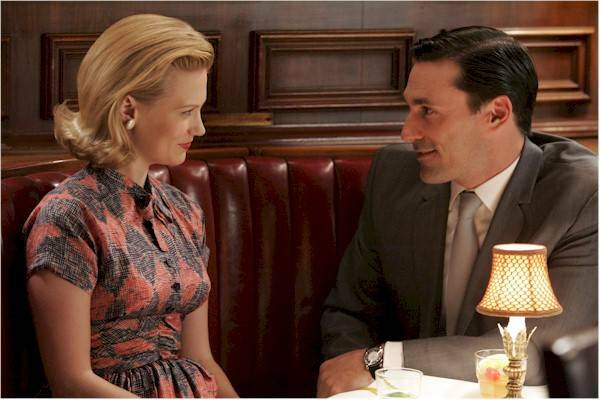 If there is any concept that the first eight episodes of Mad Men have reenforced it's that there is no golden era. We know that life was tough in the US during the 1930s and 40s, but the 1950s and early 60s are often looked at through a rose colored lens. Enter the perfect family, dad's a handsome businessman, mom raises the kids at home while looking perfectly gorgeous in a full skirt, the kids have manners, and the family dog rescues them all from the well. Not on this show folks. No one is happy or appears to possess any redeeming qualities. Everyone is having affairs and just being terrible to each other in general. The Great Gatsby has a similar theme. 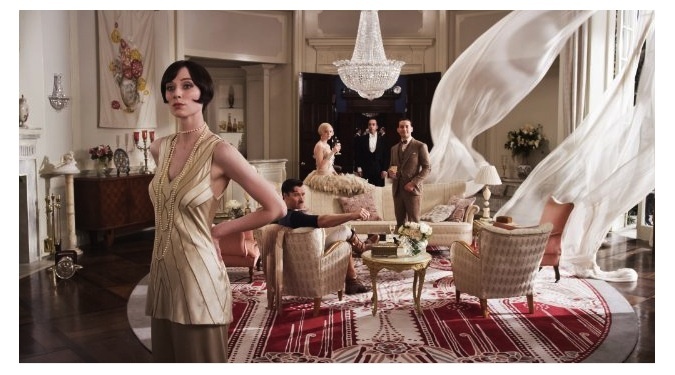 The glamour of the 1920s is only put on display at Gatsby's parties. Once the guests have trickled out of the garden and the gates have closed, everyone in the story is pretty miserable. Fitzgerald's characters have everything and nothing at the same time and most of them are so evil about it. Having read the book several times I have seen different sides of them. The first time I read it I hated Myrtle and felt sorry for Daisy, the last time it was the opposite. I haven't seen the new film yet, but plan to do so soon, mostly for the costumes. It's a great story, don't get me wrong, but I'd rather go to the theater to laugh than feel sad about the state of the world. Two picture perfect era's have their dirty undersides revealed time and time again, reminding us that nothing is truly perfect, but it doesn't sway our perception of those golden days, does it? On another note, have you seen The Great Gatsby and is it any good? I have been so excited to see The Great Gatsby, but I haven't made it out yet. I've been hearing mixed reviews! boo. The costumes look so gorgeous though.